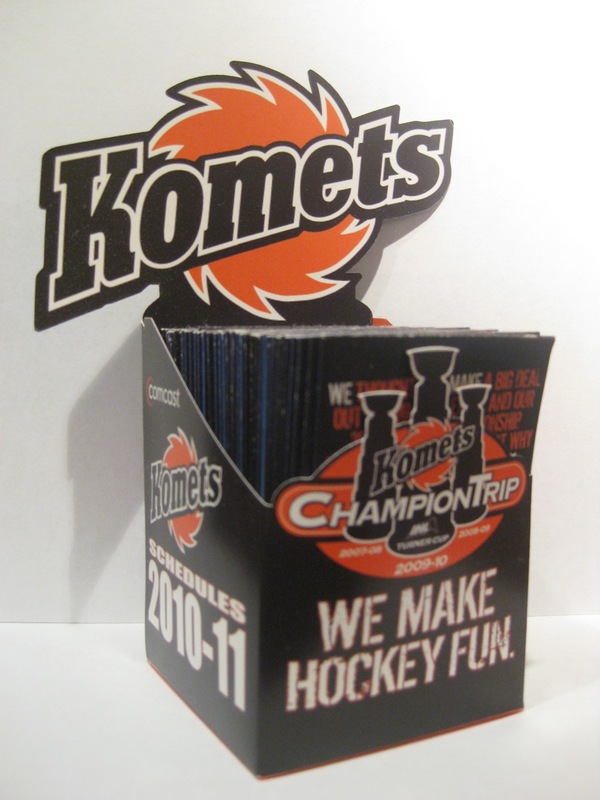 I have been collecting hockey pocket schedules for the past 15 years and schedule holders have always been the holy grail of sked collecting for me, as they are harder to acquire, usually have great artwork and designs, and are a great way to display my skeds. 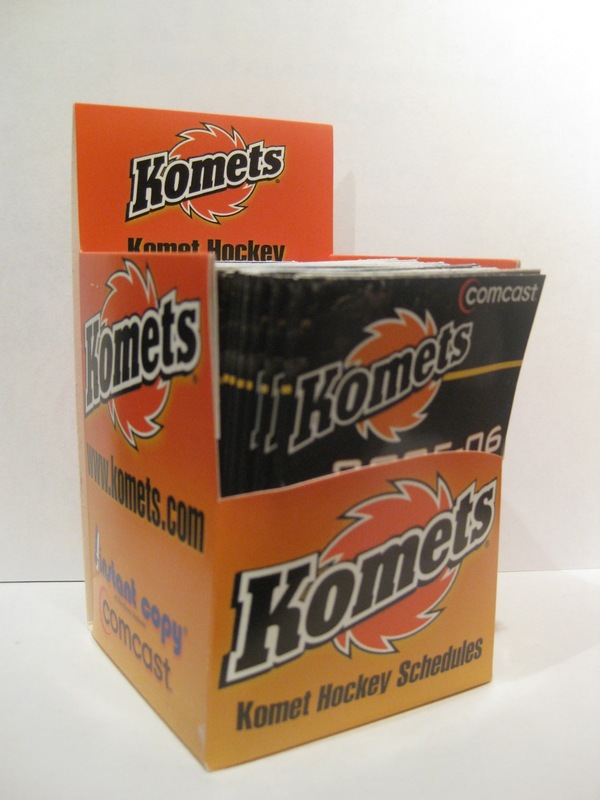 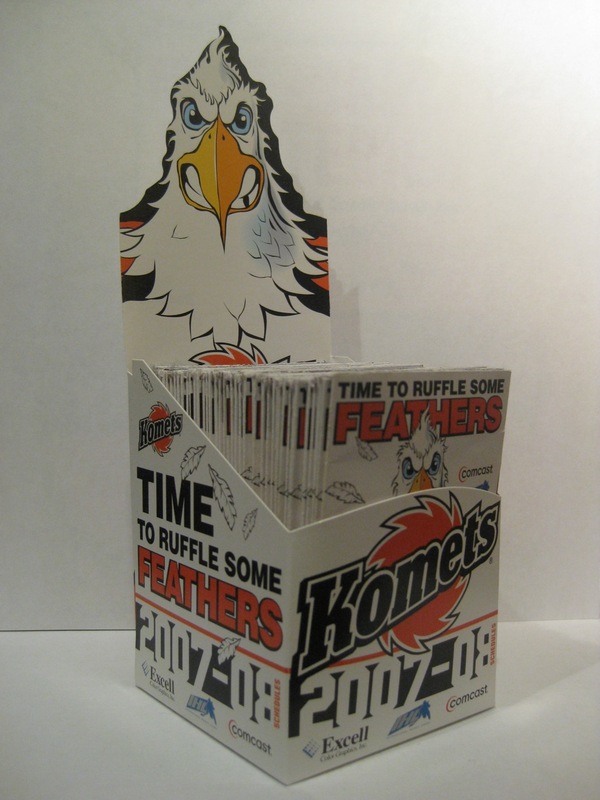 I recently received a package from my friend in Ft Wayne Indiana which included this years Komets pocket schedules along with a schedule holder display. I decided to take a photo of it, and then thought I should fine the other Komets schedule holders I had and photograph them as well. 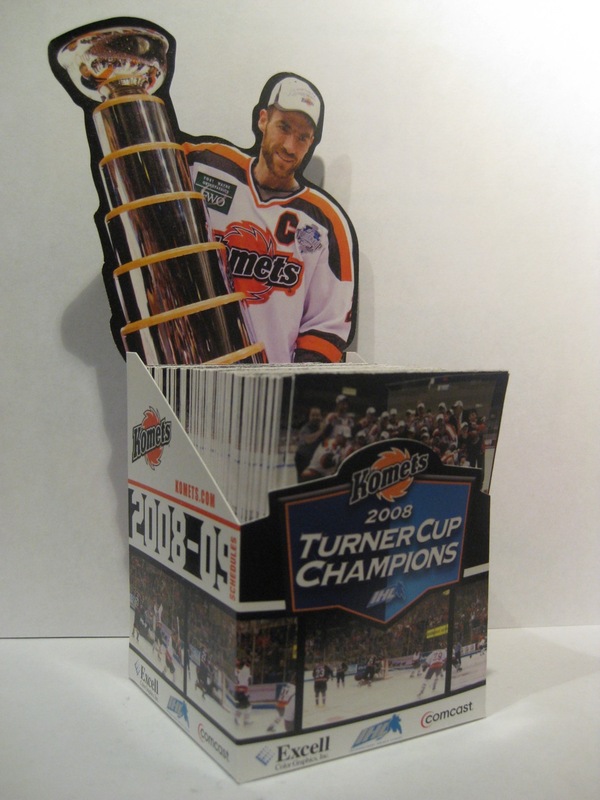 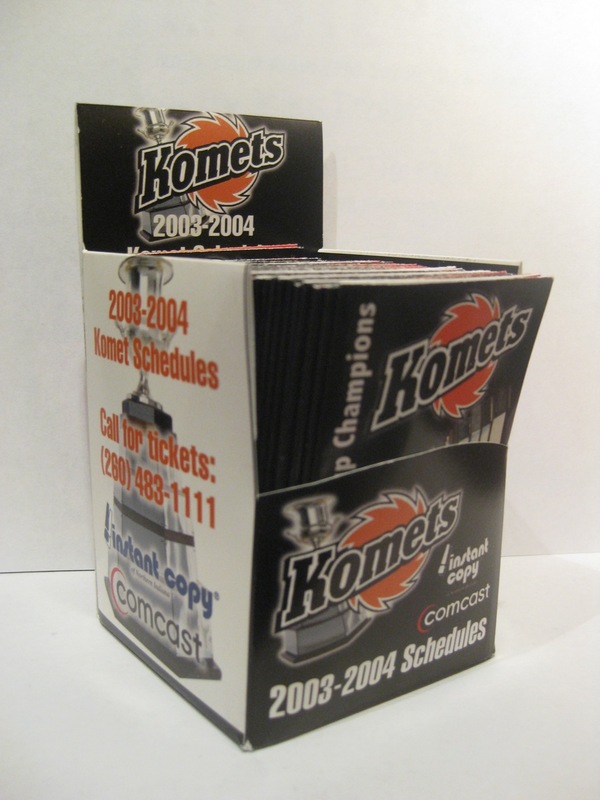 I think I have more Ft Wayne Komets sked holders and any other team, and they have had some great ones over the past few seasons, as they continued to win cup after cup! 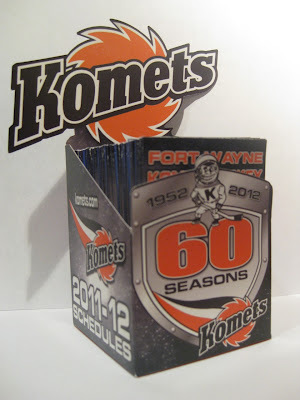 Here are the seven Ft Wayne Komets schedule holders I have. 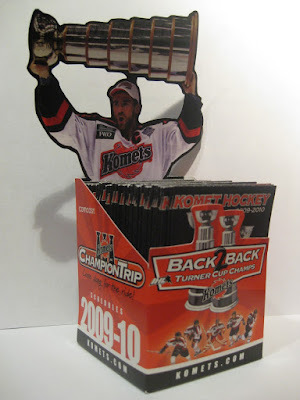 I could not find ones for 2004-05 or 2006-07. I'm not sure if I don't have them, or just could not find them.